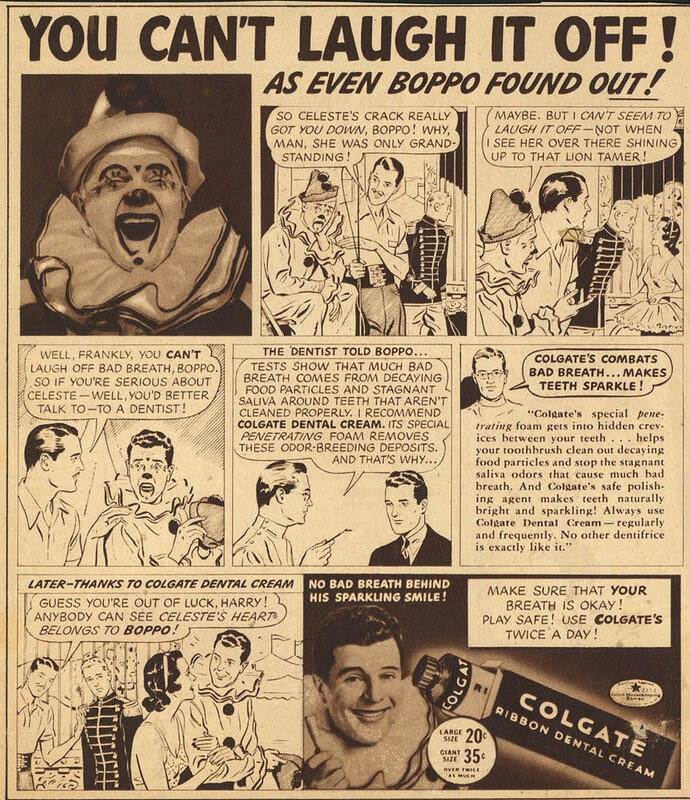 A classic Colgate advertisement, featuring Boppo the Clown! In the words of Al Wirtes, who kindly alerted me to this ad, "Run, Celeste! Run!"